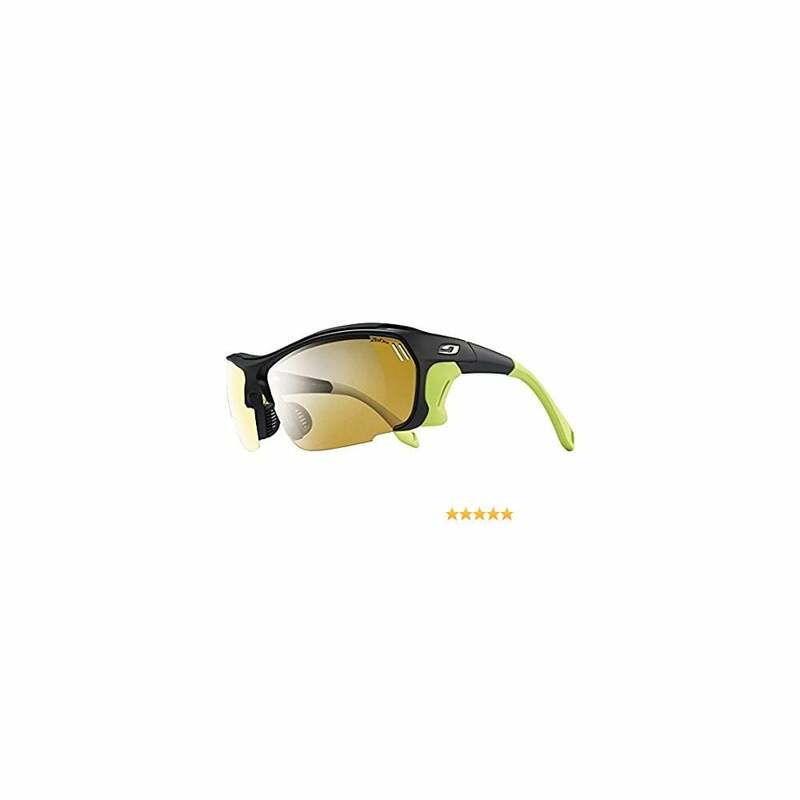 The Julbo Trek’s in Noir/Anis mission is simple: to achieve optimum performance while moving fast in extreme environments by providing highly technical, yet lightweight eyewear. For those committed to the outdoors via mountaineering, climbing and trail running, the Trek is the perfect-combination of technical mountaineering principles and lightweight performance ergonomics. Detachable shields block lateral rays from intense glare as well as offer superior ventilation when necessary. Julbo’s Flex Nose design and 360° adjustable temples provide optimum hold. It’s available with either the Cameleon or Zebra lens for optimal visibility and protection against intense sunlight from desert to glacier conditions. Purely Julbo. Adjustable Strap - Hold and security. Strap length can be adjusted. 360 Adjustable Temples - Stem ends bend in every direction, easy to wear and good hold when worn with helmet, beanie or simply alone. Removeable Side Panels - Lateral protection against harsh sunlight. Total Cover - Maximum protection in extreme conditions against harsh sunlight. Flex Nose - Ergonomic nose piece adjustable to all nose shapes.